We are the leading exporter and supplier of Water Type Diaphragm Seals based in Singapore. 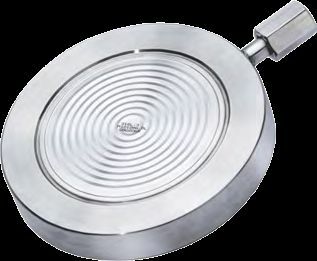 Our offerings include Wafer (Pan Cake) Type Diaphragm seals of KDS-11 Series and KDS-11 Series. With Flange made as per ANSI, ASA, DIN and JIS standards, these seals are available in wide range i.e., 1 to 160 bars. The wetted parts of the seals are AISI 316 SS, Monel, AISI 316L SS, Hastelloy C, Titanium, Tantalum etc. Looking for Wafer Type Diaphragm Seals?